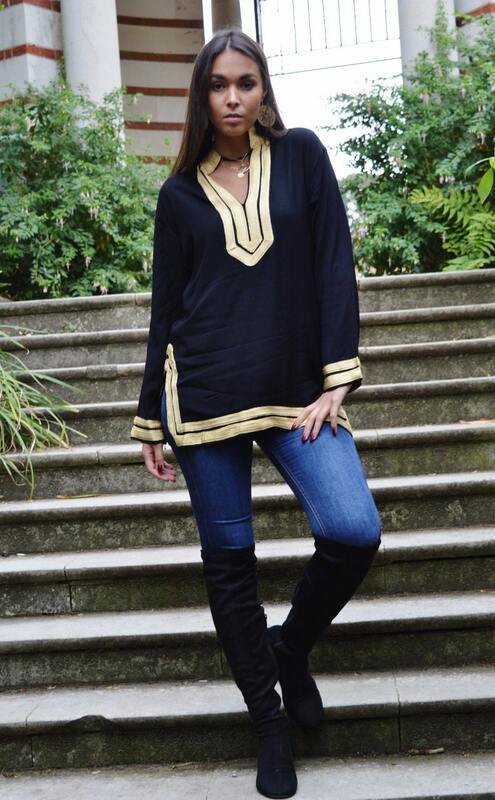 This is a vintage Moroccan Tunic Shirt, ideal for any casual wear. With a unique embroidery pattern and Moroccan buttons, this tunic shirt will surely be a wonderful one off item. I love this top!! I’m so happy I purchased it. I immediately look polished in it. Hi, thank you very much the tunic is beautiful .